There are quite a few benefits of working on a team. When you’re on a well-balanced team, it can lead to greater creativity, productivity, and effectiveness. Having the ability to share tasks, divide responsibilities, and brainstorm ideas with other people can often lead to solutions one person would have never been able to come up with on their own. Collaboration allows the individual talents of the team to be used to produce a final product of exceptionally high quality. One of the first things that every strong team must do is agree upon a leader. In order to keep everyone in the group motivated, focused, and on track, every project needs to have someone at the helm. Group leaders are not the “boss”—they are facilitators, responsible for opening lines of communication and making sure that everyone uses their time and resources effectively. Group leaders are often chosen because of their technical expertise or due to their ability to communicate and manage people. The best leaders are able to do both. Clarity of purpose is key to any successful group. Before work can begin, you must sit down with the entire group to agree upon a common goal. Having a clear goal that the entire team is working towards will prevent loss of focus, wasted time, and conflicting personal agendas. Not everyone is good at time management. I personality types, for example, rarely watch the clock. In order to make sure that missed deadlines don’t happen, the most important step after agreeing on a common goal is to create a schedule with clear and realistic deadlines. This will help everyone monitor their progress and ensure that tasks are completed as efficiently as possible. The best groups make it a point to touch base with one another frequently. When individual group members operate in isolation, problems are inevitable. There needs to be a mechanism—team meetings, email threads, Google hangouts, etc.—for team members to check in with one another. This allows questions to be answered in a timely fashion, keeps everyone updated on progress, and heads off any confusion that might take the project in the wrong direction. 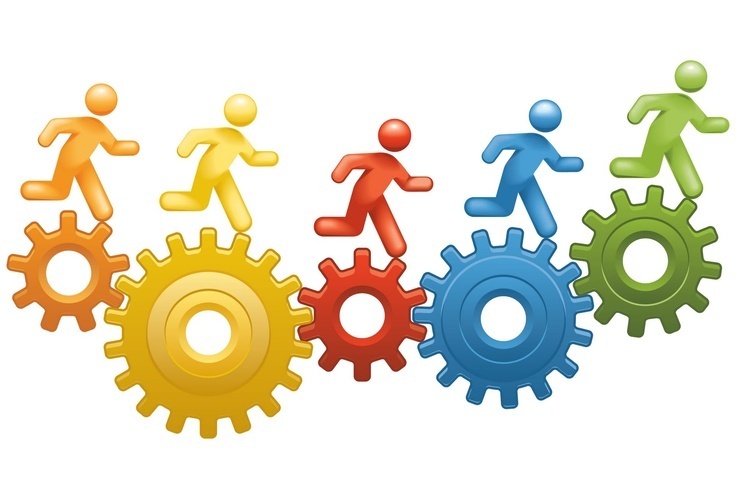 The purpose of assembling a team is to strategically group together individuals that possess the diverse set of skills needed to accomplish a specific project. Check out the first 4 suggestions on this list. Who would be best suited to accomplish each task? If you look at the natural skills of each of the DISC personality types, it’s easy to see that each of the items on the list above requires the expertise of a different personality style. Number 1 on the list requires the leadership and vision of a D personality. Number 2 can be mediated by an empathetic and team-oriented S. Number 3 is well within the skill set of an organized and analytical C. Number 4 can be facilitated by the open and engaging personality of an I. In order to create the best possible team, it’s not a good idea to choose only driven, dominant personality types. 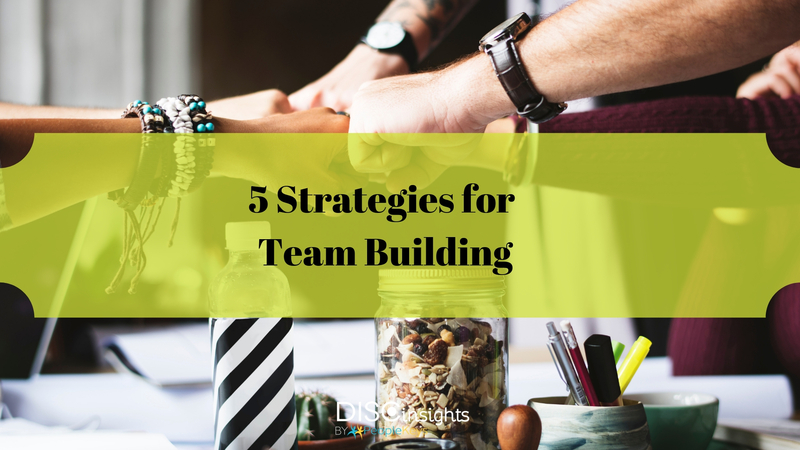 A team made up of just one personality type is destined to struggle. How in a team made of only D personalities, for example, would they ever agree on a leader? 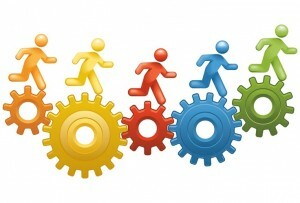 Overall, it’s essential to choose a wide variety of personality types for the group, each uniquely skilled at different types of tasks. If you can accomplish that, the team will be stronger as a whole than the sum of its individual parts. The most important lesson here is this: Do what you do best. If you’re not skilled at communication but are excellent at organization, volunteer to come up with a schedule, but let someone else be the spokesperson to implement it. You don’t have to be able to do it all—just recognize what you bring to the team and then utilize those skills to their best ability.